The last session of the first Pan Arab Human Genetics Conference that was held yesterday featured lectures on consanguinity — blood relative — marriages in the Arab world as well as on the Islamic perspective towards human cloning, stem cell research and pre-implantation genetic diagnosis. Other lectures focused on detailed aspects of common genetic disorders in the Arab world including mental retardation, genetic dysmorphologies, breast cancer, laeukemia — blood cancer — thalassemia, sickle cell disease, familial Mediterranean fever, and neuromuscular disorders. The conference is being organised by the Centre for Arab Genomic Studies (CAGS), a division of Shaikh Hamdan bin Rashid Al Maktoum Award for Medical Sciences. In 2004, the centre initiated a major activity to construct the Catalogue for Transmission Genetics in Arabs (CTGA) database for genetic disorders occurring in the population of the UAE. 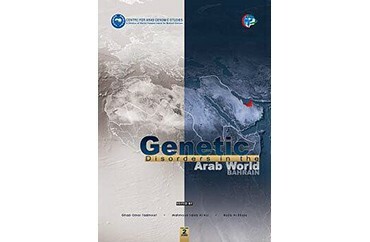 At present, the database has detailed information on 224 genetic disorders observed in the Arab population of the UAE. The CTGA database also contains preliminary information on the occurrence of 464 genetic disorders in other Arab populations. The Centre for Arab Genomic Studies recently formed its Arab Council which includes a number of scientists from the region representing: Bahrain, Egypt, Jordan, Kuwait, Lebanon, Oman, Qatar, Saudi Arabia, Sudan, and Tunisia. Members of the Arab Council are, for first time, meeting together. The conference was also attended by members of the Human Genome Organisation Council.